The Pennsylvania Native American Flute Circle members are composed of flute enthusiasts of all ages wishing to promote the hauntingly beautiful music of the Native American Flute. Some members are seasoned players, some members are beginners and some members are just Native American Flute listening enthusiasts. Won’t you join us in appreciating the music of the Native American Flute? Everyone is encouraged to bring their flutes with them and participate in playing and learning about the Native American Flute. If you do not currently own a flute, you are still welcome to attend as a guest and listen to the beautiful flute music. • Encourage the continuation of traditional and contemporary Native American flute music and its craft. 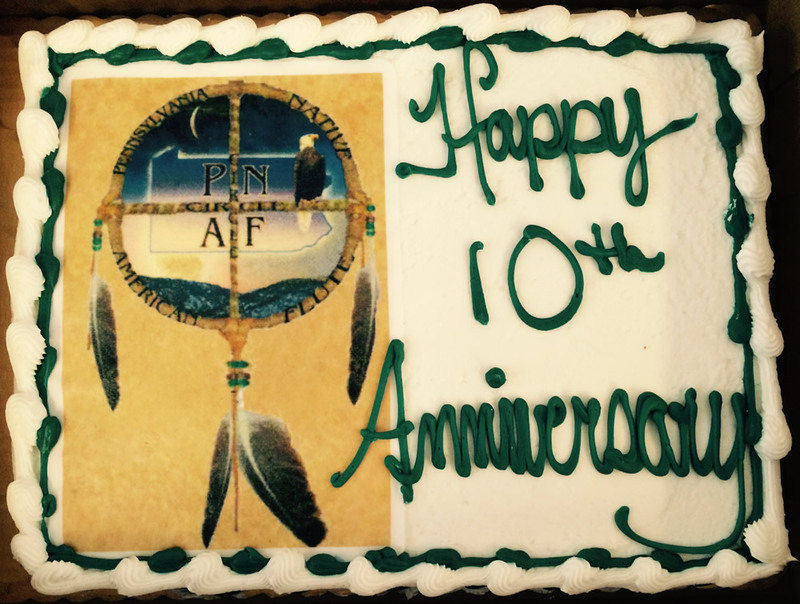 • Encourage individuals within the Pennsylvania Native American Flute Circle to participate in activities that help promote the organization for the preservation of the Pennsylvania Native American Flute Circle. • Cooperate and coordinate with other individuals, associations, and flute circles as well as other organizations engaged in similar activities to promote awareness and appreciation of Native American Flute Music. • Encourage participation in regional and national projects by the Pennsylvania Native American Flute Circle through quality exhibitions, educational outreach programs, specific performances and programs, scholarly research and publication efforts, as well as other compatible ventures.